Decorating a brand new home can seem complicated, even for the most creative among us. And one of the most challenging parts of decorating is choosing a color palette, especially if you want a different color to pop in each room of your home. 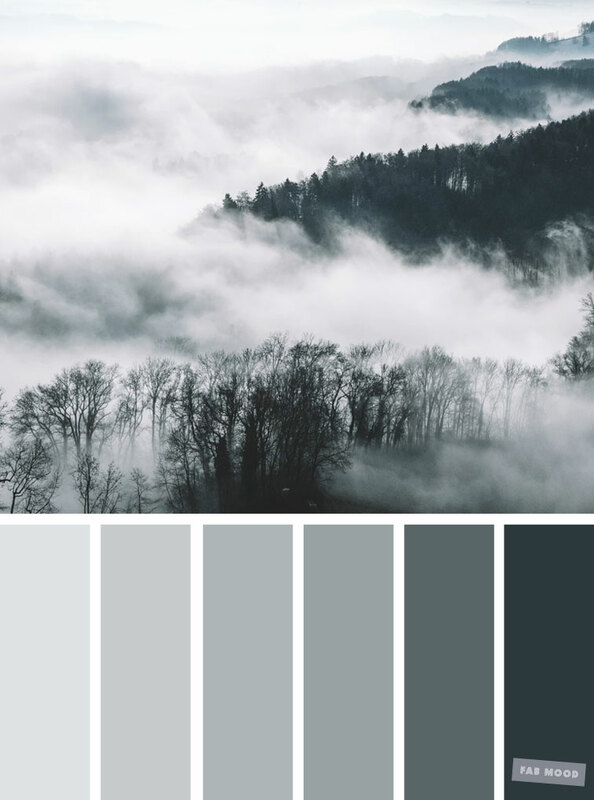 But before you throw in the towel and hire a professional to help, consider these professional tips for choosing the perfect color palette. It can take a lot of courage to paint a wall in your home an eye-popping red or a dazzling blue. And if you just simply can’t bring yourself to do it no matter how much you want to, no problem – there’s a way to still make your home look amazing: go with grey. Grey is actually extremely trendy, and it is a color you simply cannot go wrong with. Like the tip above, feel free to diversify by choosing different shades of grey. And if you do decide that you want a pop of color, a bright quilt, throw pillows, or a piece of art can be the perfect way to incorporate a color you love. A fantastic tip provided by HGTV.com is to follow the 60-30-10 rule. The rule holds that one color should dominate 60 percent of a room, another 30 percent, and the final accent color 10 percent. The 60 percent is the part of the room that is the most dominant, which usually means the walls. The 30 percent is for upholstery, such as a couch or sofa. The 10 percent is for any accents, like throws or pillows, rugs or art. The ratio provides for a nice balance that is easy to put together and easy to look at. We know that we just suggested using a range of similar but different colors to make a room look great – now we’re going to tell you the opposite. Use the change-of-colors approach for larger spaces, but for smaller spaces, like a bathroom or small office, consider a monochromatic look where you choose one bold color and just go for it. Remember to balance this with neutral colors in surrounding areas, such as one white wall with your bright orange desk. Finally, consider adding some class elements to tie your entire room together, and make all of that color work well in combination. A black fixture – such as a black vase or bookshelf – is one way to make the other colors stand out. Gold frames for pictures are also a very classic look, as are marble table tops. Wood, especially unfinished wood, is quite stylish right now as well. Before you can start the decorating and putting together the perfect palette, you need a brand new home. At Simplicity Homes, we’ve been building homes in communities throughout the Northwest, including in Washington, Oregon, and Idaho for years. Whether you’re buying your first home or upgrading to the home you’ve always dreamed of, Simplicity Homes can help. To learn more about our homes, get in touch with us today. We’re here to help you create the life you’ve always imagined for yourself and your loved ones.